It’s that time of year again — time to get the community association’s budget together and ensure you’re making all the proper disclosures under the Annual Budget Report and Annual Policy Statement, as required by the California Civil Code. In order to assist you with this process and other required notices and disclosures, we have again updated our disclosure checklist reference. 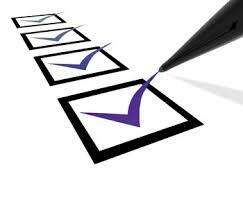 Download the new 2014-2015 disclosure checklist here. Not much has changed in the most recent legislative session with regard to community association disclosures, other than some clarifying language that was added regarding property transfer disclosures. To review our prior blog post regarding that legislation, follow this link.